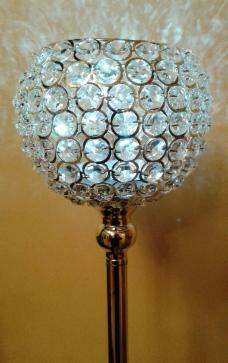 These stunningly elegant crystal table centrepieces are perfect for use at a Wedding or Special Event. They provide a simple yet luxurious looking table display at a great price. Lights are included giving a lovely glow when the lights go down. 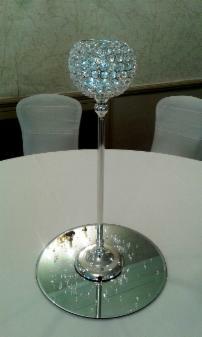 We also have 4 crystal bowls which can be used on wedding top tables which match the crystal centrepieces, and are also provided with lights. Please email for further details. Delivery and set up is included in the hire charge (any venue in Surrey) as well as collection after your event.